The underground tunnel beneath Teotihuacan stretches from the central plaza of the ancient city and leads beneath the Pyramid of the Moon. 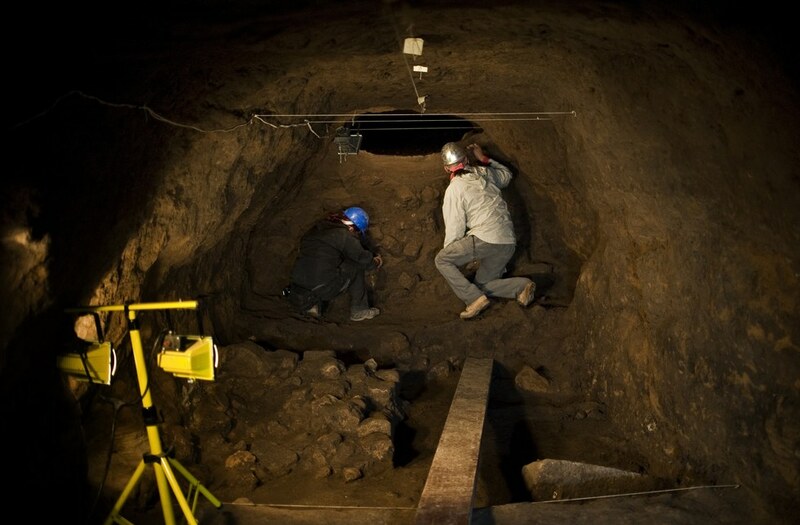 Archaeologists believe there are many more hidden tunnels located beneath Teotihuacan. 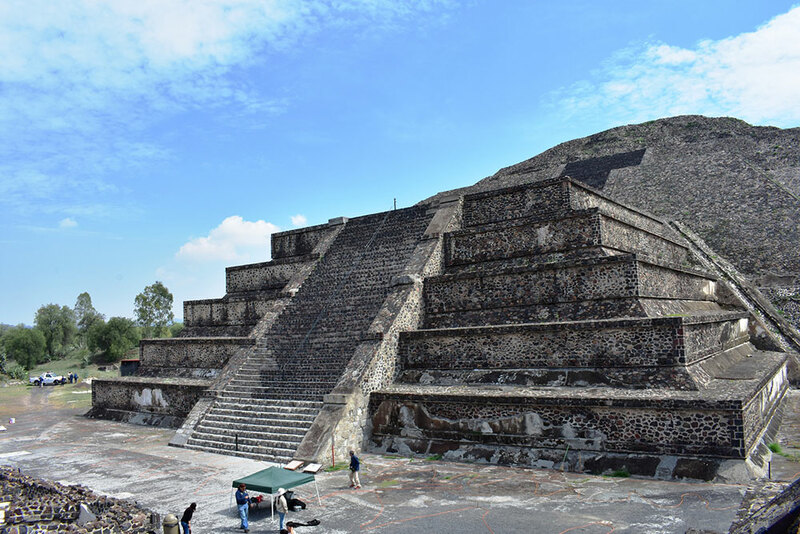 Archaeologists excavating the ancient city of Teotihuacan in Mexico say they have uncovered evidence of what seems to be a network of tunnels located beneath the Pyramid of the Moon. The tunnel was discovered using electrical resistivity tomography—a geophysical technique for imaging sub-surface structures from electrical resistivity measurements made at the surface, or by electrodes in one or more boreholes. According to reports, the mystery tunnel stretches from the central square of the ancient metropolis which was most likely used for human sacrifices and other rituals, all the way to the Pyramid of the Moon. According to INAH, the National Institute of Anthropology and History archaeologists used CT scans in order to find the tunnel located around 30 feet below the surface of the plaza near the Pyramid of the Moon. Experts believe Teotihuacan could be home to numerous underground tunnels. Image Credit: Melitón Tapia, INAH. This is not the first underground tunnel found at Teotihuacan. Previously, experts have uncovered a set of tunnels in different places and the underground tunnel located beneath the Temple of the Plumed Serpent has already been explored by archaeologists. Experts believe the newly discovered tunnels were filled with different kinds of offerings. CT Scan explorations were led by Dnisse Argote Espino, of the Directorate of Archaeological Studies of INAH who said that the preliminary images clearly show what appears to be a straight cavity some 10 meters (30) feet below the surface spanning from the center of the central square towards the Pyramid of the Moon. In order to fully understand what they have found, experts indicate they need to process more data in order to get a better picture of what’s down there. However, according to Ortega, the tunnel could have been the ’emulation of the underworld’, where the origin of life, plants, and food were recreated. In the near future archaeologists hope to explore the new tunnel in order to fully understand its purpose. Archaeologists wonder whether the new tunnel is in its original conditions or has already been looted in the past, as some of the tunnels in Teotihuacan. Exploring the new tunnel could help experts find other tunnels that may be down there. Experts believe more tunnels remain hidden beneath Teotihuacan after detecting changes in the soil. The ancient city of Teotihuacan is one of the most mysterious ancient archaeological sites on the planet. Located around 45 kilometers from Mexico City, the archaeological site of colossal proportions has become one of the most important ancient sites in the Americas. Established around 100 B.C., and lasting until its fall between the seventh and eighth centuries, Teotihuacan was one of the largest cities in the ancient world, with over 150,000 inhabitants at its peak. The ancient city of Teotihuacan is surrounded by many temples, pyramids and a 1700 meter long avenue, which is known as the Avenue of the Dead. Researchers believe that there are around 500 meters of the Avenue that have yet to be uncovered. Many researchers believe that this mysterious avenue was made to represent the Milky Way.